For her first exhibition with the gallery Charlotte Prodger has made a new single channel video installation, BRIDGIT. The work takes its title from the eponymous Neolithic deity, whose name has numerous iterations depending on life stage, locality and point in history. BRIDGIT explores the shifting temporal interrelations of name, body, and landscape through the work’s narratives where “… the force of time is not just a contingent characteristic of living, but is the dynamic impetus that enables life to become, to always be in the process of becoming, something other than it was.” Time Travels: Feminism, Nature, Power, Elizabeth Grosz. In this new work Prodger focuses on female attachments; a process of identification that includes friends and shape-shifting deities amongst other figures of influence. 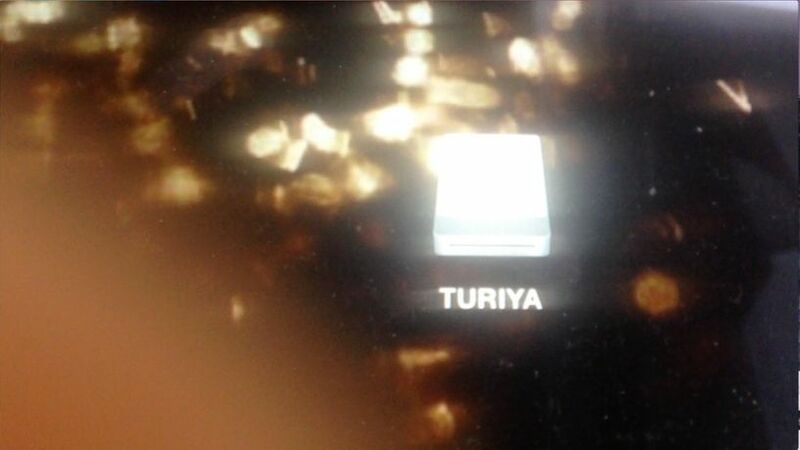 At one point, the image pans across Prodger’s fingerprint-covered laptop on which we see a mountain landscape as screensaver, revealing the icon of a flash drive she has named after a set of recordings made by musician Alice Coltrane under the moniker TURIYA. Later, in quoting the virtual systems theorist and pioneer of transgender studies Sandy Stone, Prodger cites her different names (Sandy Stone, Allucquére Rosanne Stone, Allucquére Rosanne “Sandy” Stone) as extended embodiments and multiple subjectivities spanning time and space. BRIDGIT is shot entirely on Prodger’s i-Phone. By utilising the device prosthetically the technology becomes an extension of the nervous system whilst also providing an intimate connection to global social interaction and work - the body and the device becoming extensions of each other. The footage moves between the domestic interior of Prodger’s home in Glasgow to various locations in the Scottish Highlands where Prodger has worked as well as transit between. The voiceover comprises a slipstream of cross-associating fragments where fixed categorisations are destabilised as we move through various states of being. The grid is an ever-present motif in Prodger’s work where rectilinear pattern is used as a formal constraint for subjective narrative.